This course is an introduction to the C++ programming language. This class is an introduction to the C++ programming language for those who are already familiar with C syntax and some basic principles of object oriented programming. 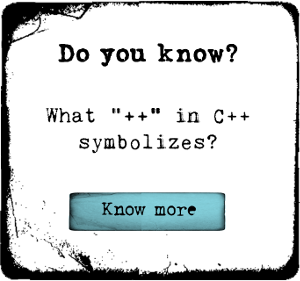 C++ is based on C, but extends the language with characteristics like function templates, namespaces, and (of course) categories. This is the lite version of our main course "Learn C++ in Less than 4 Hours - for Beginners"
If you've been thinking to start with learning C++, then this course is a good first step.